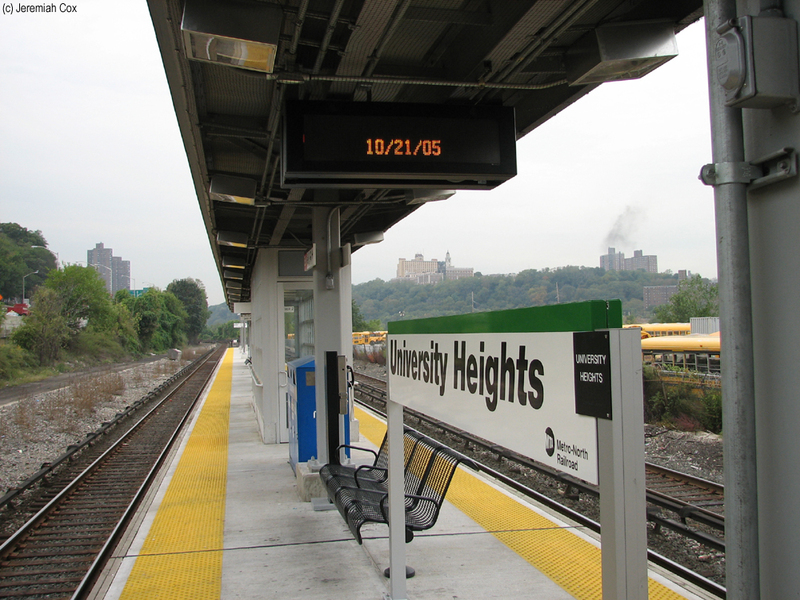 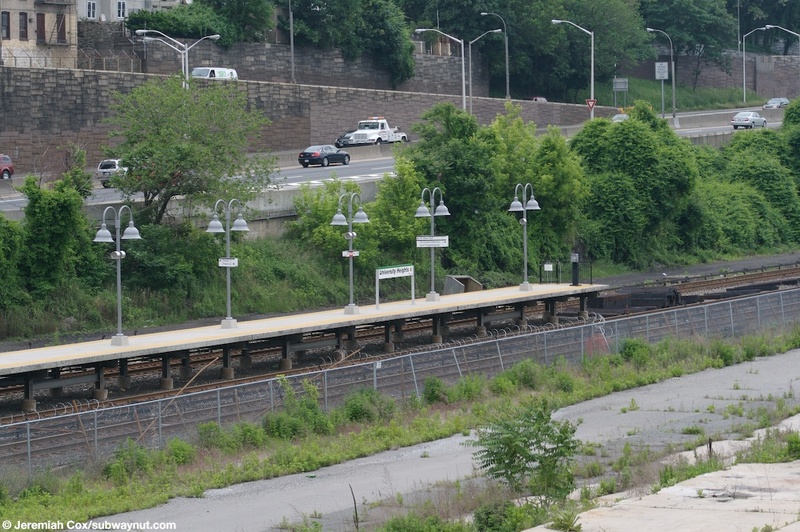 University Heights station is located on the banks of the Harlem River. 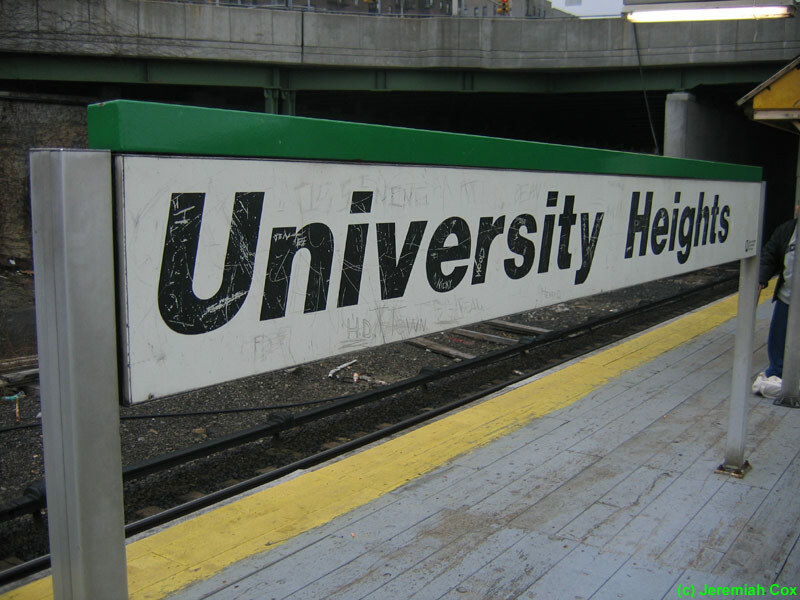 The station is under the University Heights Bridge, where 207th Street crosses the Harlem River and becomes Fordham Road. 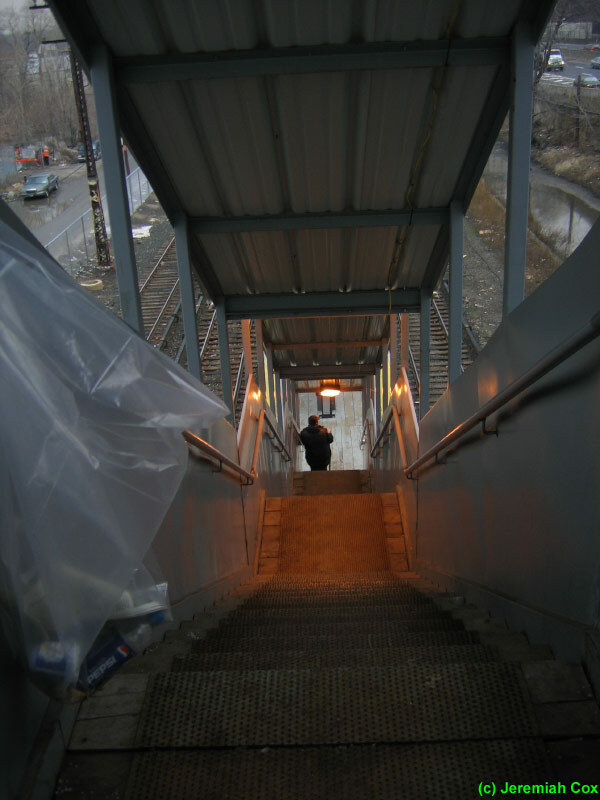 The station was rebuilt in 2004-2005, although it had an elevator and was accessible before the renovations. 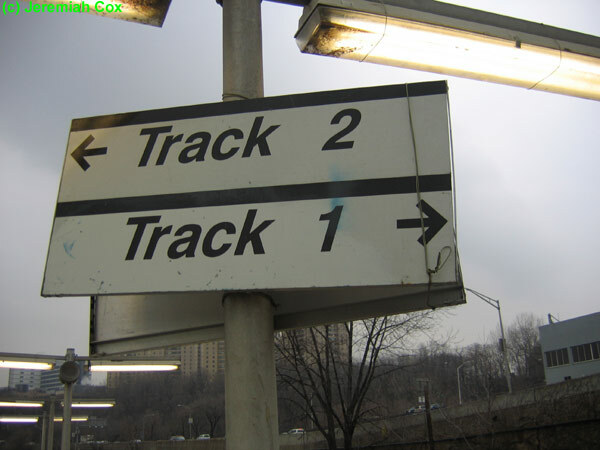 Today it consists of a single island platform that can accommodate four cars between the eastern two tracks of a four-track line. 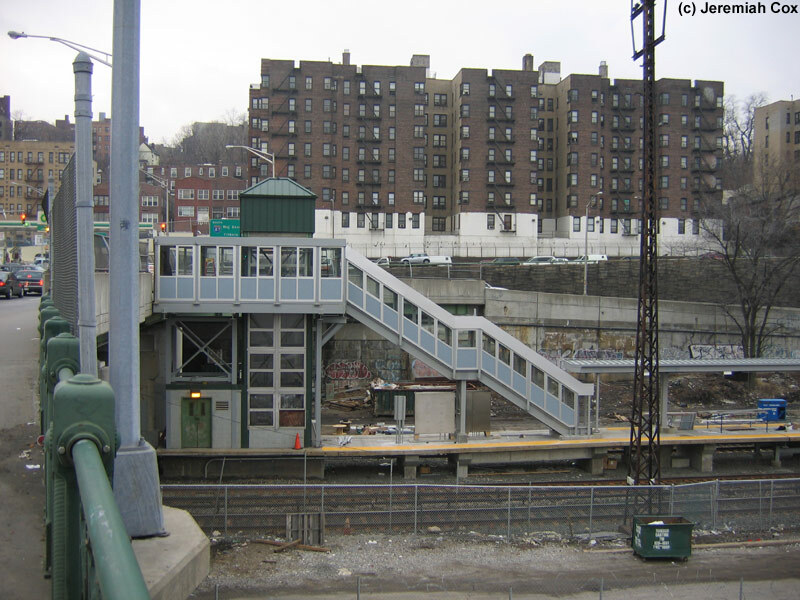 The station has a single entrance from the south sidewalk of Fordham Road/the start of the pedestrian path of the University Heights Bridge. 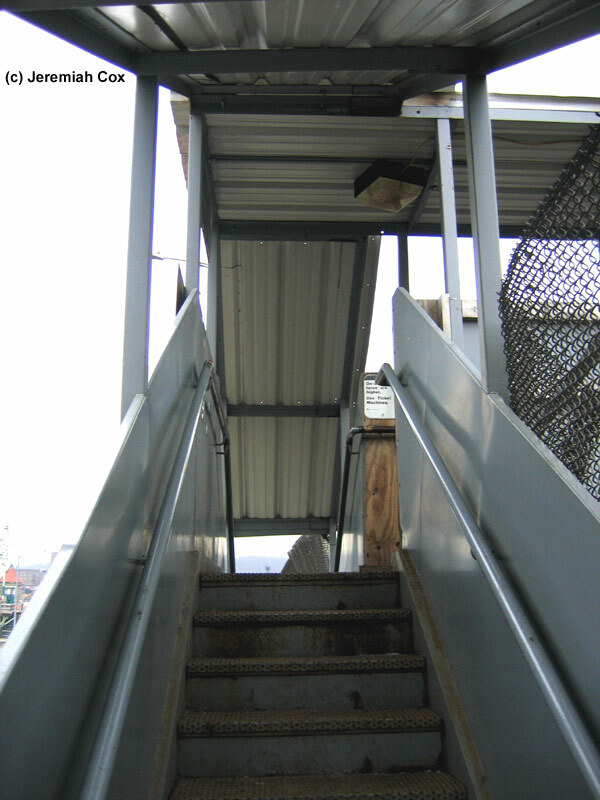 The entrance leads to a small enclosed area with the station's TVMs followed by an elevator and a staircase down to the platform. 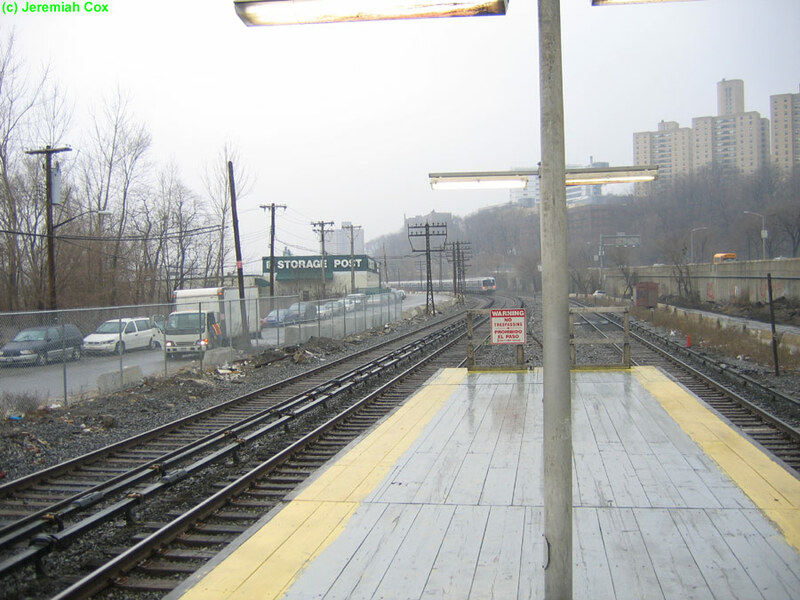 The canopy covers half the platform. 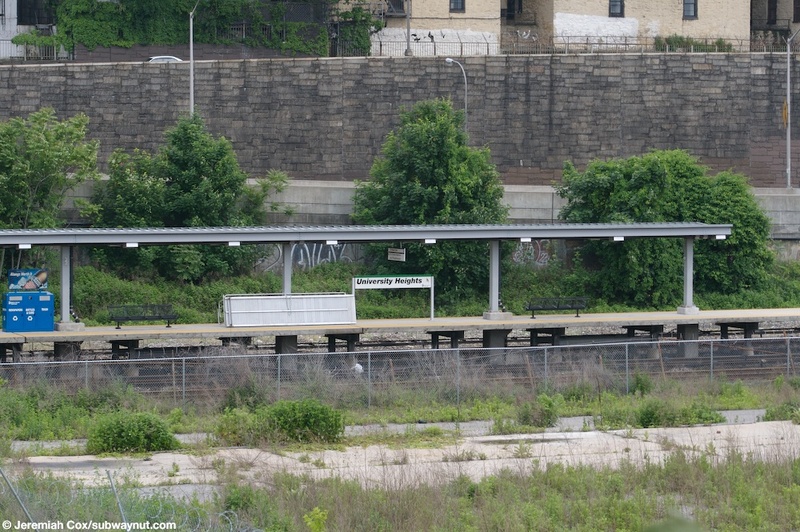 Beneath the canopy is a single enclosed waiting area and benches are along the rest of the platform. 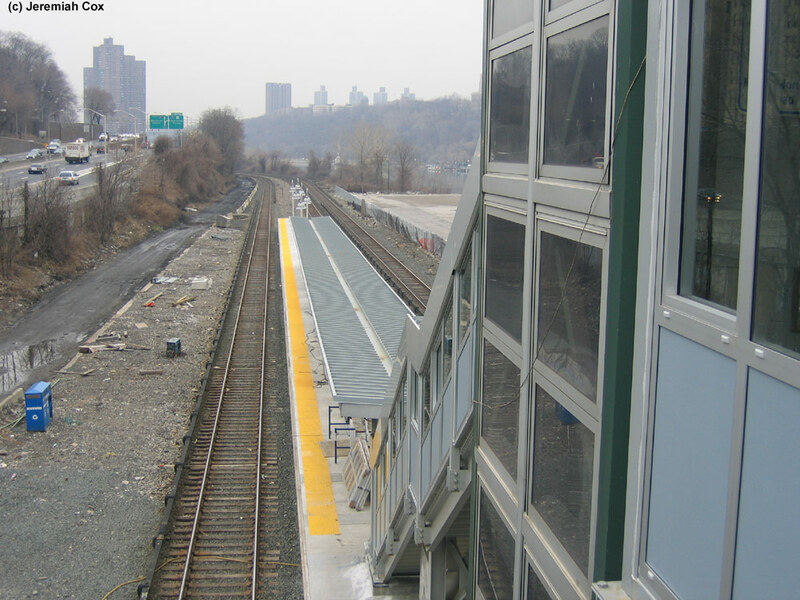 During the station's renovation a temporary platform for two tracks was built north of today's station. 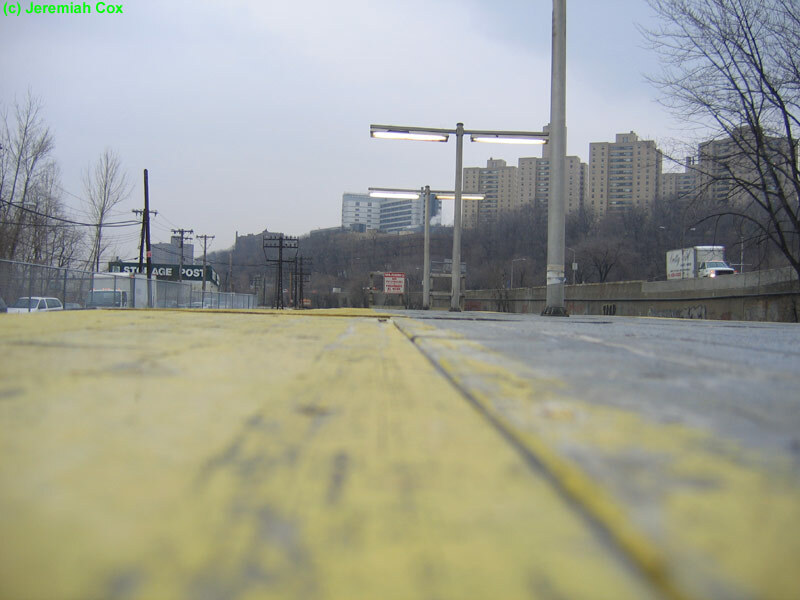 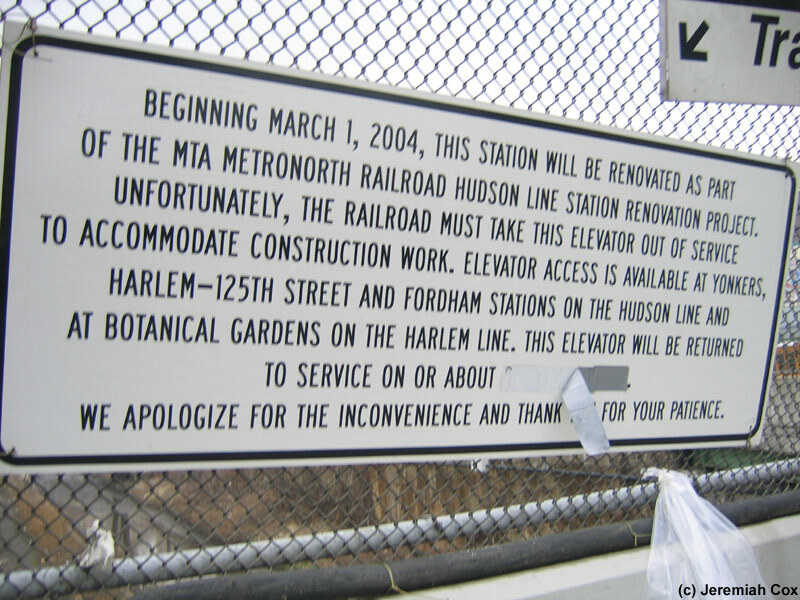 This platform was accessed only by the north sidewalk of Fordham Road that doesn't cross the bridge. 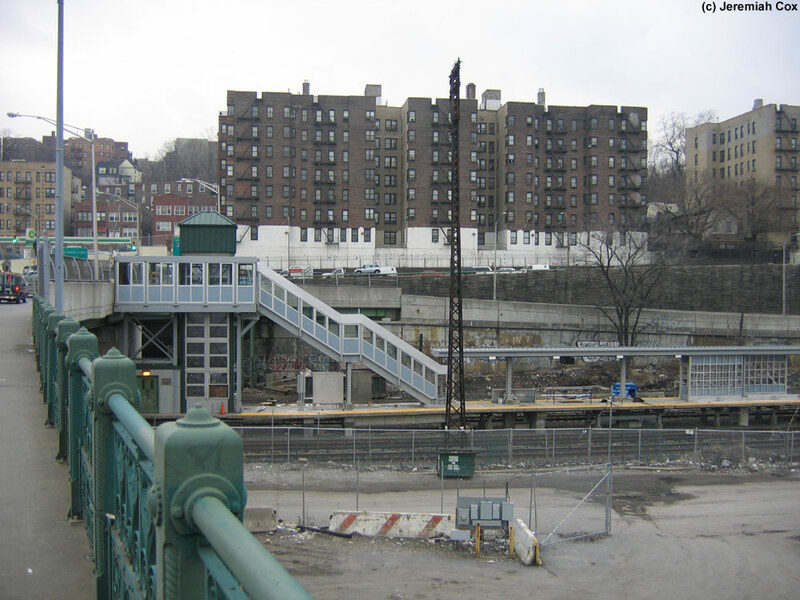 Access then (without a sidewalk in this area from Manhattan) required crossing all four on/off ramps of the Deegan Expressway and walking up to Cedar Avenue before reaching a legal crosswalk across Fordham Road. 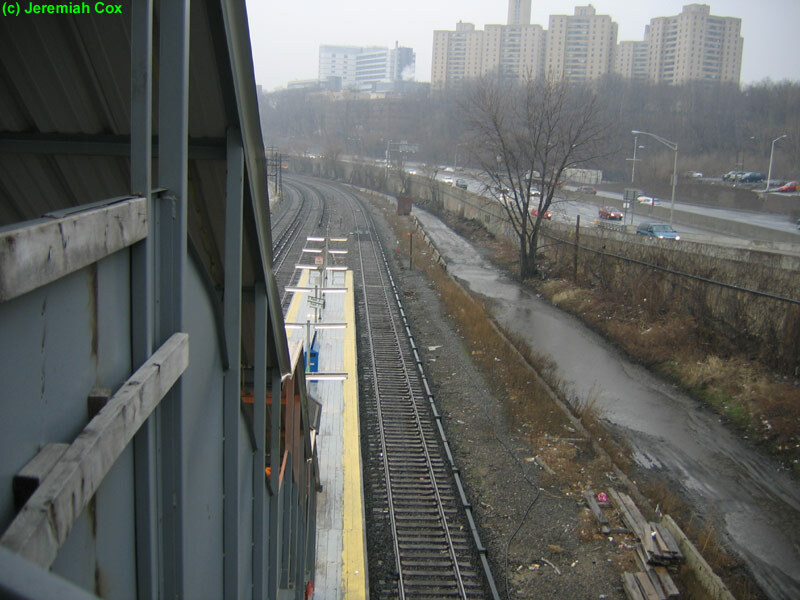 Looking down the orange line on the wooden platform at University Heights. 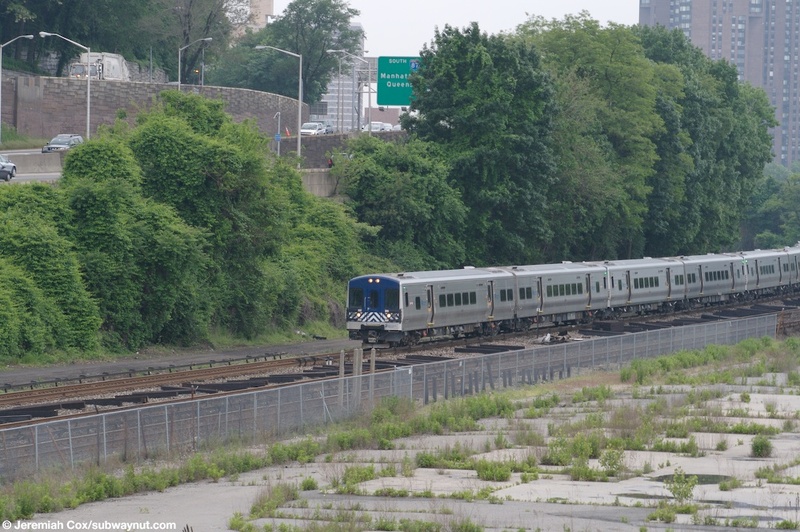 M7A #4111 rounds a bend in the Harlem River approaching the University Heights Station leading a Croton-Harmon bound local train. 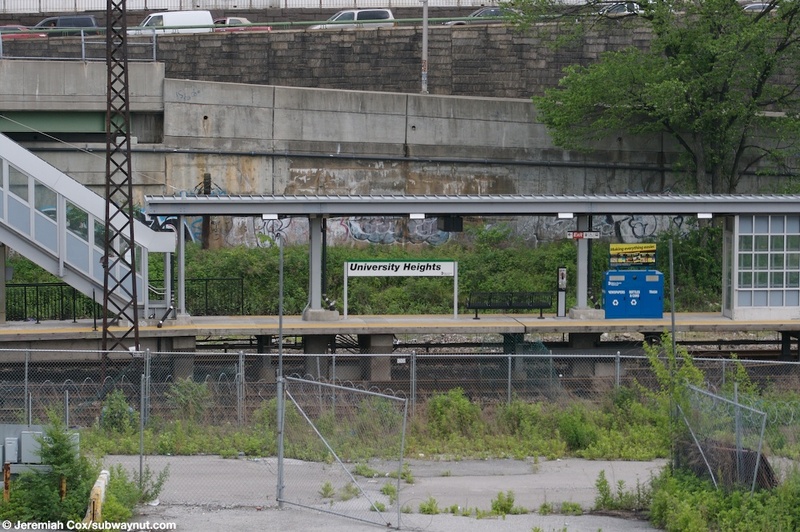 M7A #4111 approaches University Heights with the Major Deegan Expressway in the background. 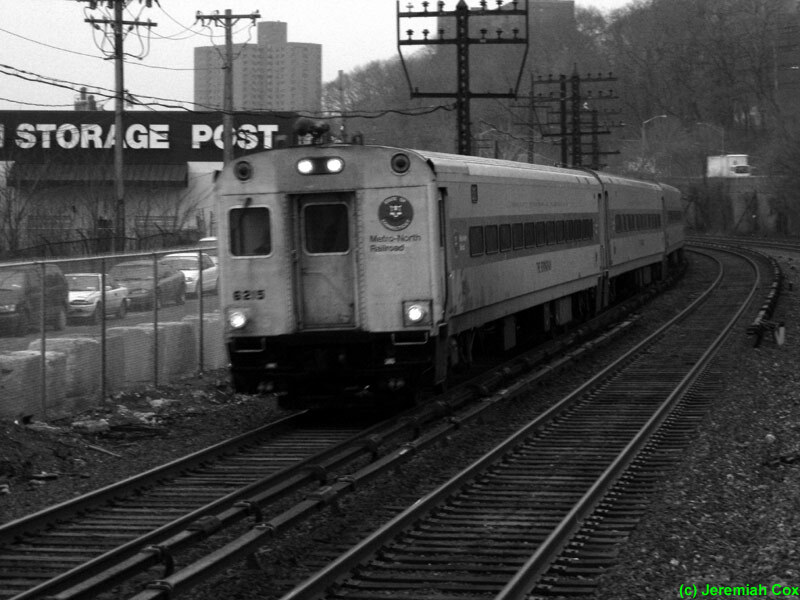 M7A #4111 begins to enter University Heights leading a Croton-bound local train. 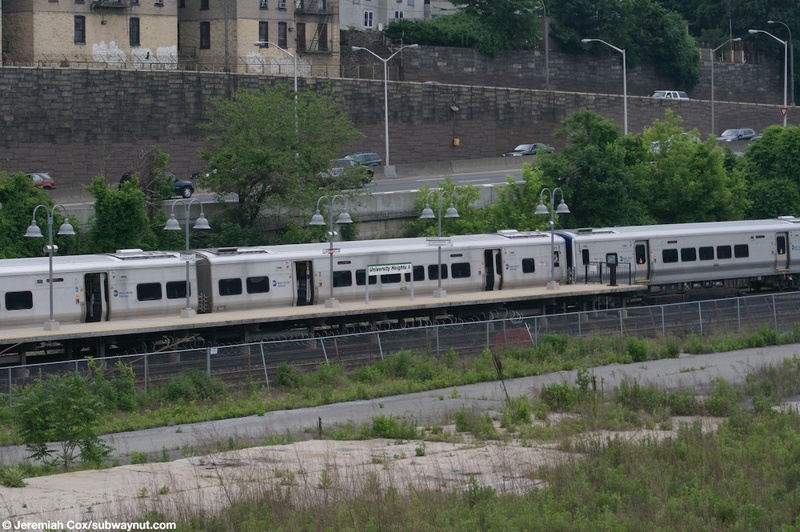 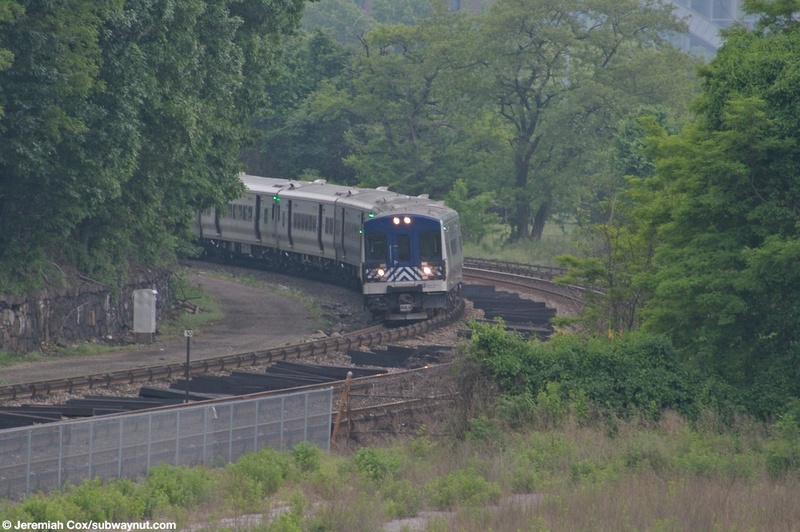 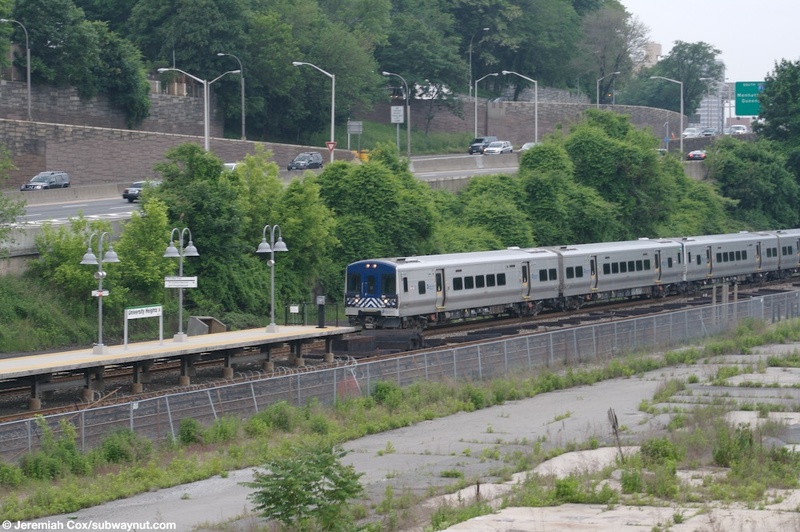 The middle of a Croton-bound local train of M7As (#4078 and #4083) stops at University Heights.